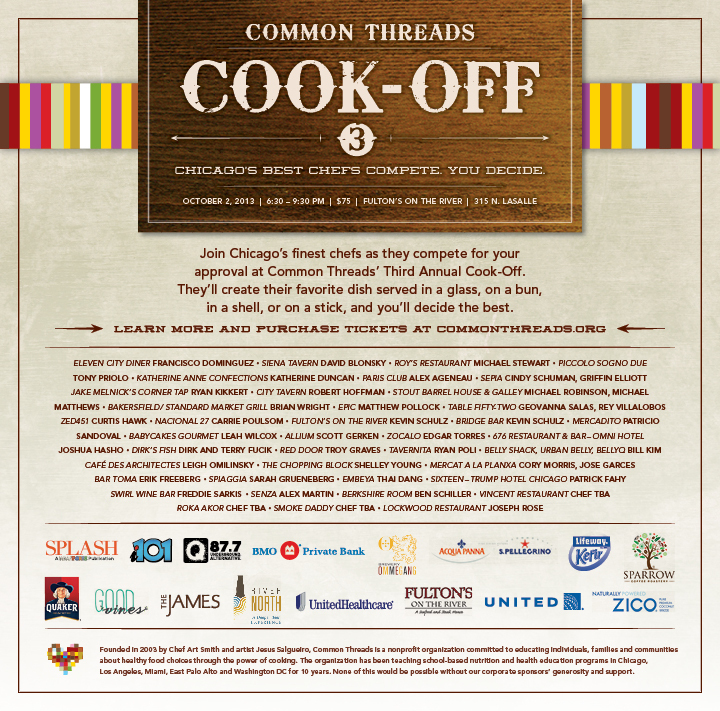 Hot off the press – this is the official invitation for the Common Threads Cook-Off. Isn’t it beautiful? And don’t you want to come? Look at all of these amazing restaurants! « You Are Invited to Common Threads Cook-Off 2013! !